We are an independent, third-party forklift operator training company providing forklift operator training services on location; that means we come to your place of business. 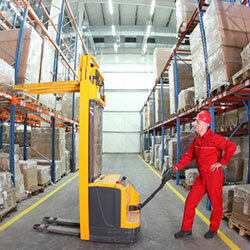 We specialize in training on powered industrial lifts including all seven classes of forklifts. We also provide training on all aerial work platforms (AWP’s) including scissor lifts and boom lifts, both self-propelled and manually propelled. Forklift Certs On-the-Go has flexible, full service forklift operator training programs that will help your organization maintain full compliance with OSHA requirements for training your forklift operators in the safe operation of your powered industrial lifts. Our independent, third-party forklift operator training company provides forklift classes on location; that means we come to your place of business. We specialize in training on powered industrial lifts. We can also equip internal personnel to train forklift operations. Our forklift classes consist of a combination of formal instruction, practical training, and evaluation of the operator's performance in the workplace. This forklift operator training is rigorous enough to ensure the safety of your team as well as enable future trainings. including boom/scissors lifts, and telehandlers. 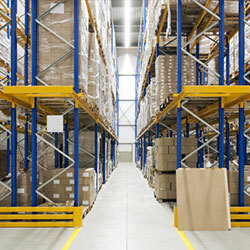 Since 1998, the Occupational Safety and Health Administration (OSHA) has mandated that all forklift operators in General Industry must be at least 18 years of age, and must also have successfully completed a forklift safety certification program before they are allowed to operate a powered industrial lift truck – or forklift. The intent is to reduce the number of injuries and deaths that occur as a result of inadequate forklift operator training. This standard applies to all industries (general industry, construction, shipyards, marine terminals, and long shoring operations) utilizing powered industrial lifts; the exception is agricultural operations. OSHA enacted its most current forklift training regulation – 29CFR1910.178(l) – in December,1998, and began to enforce this standard through mandatory employer compliance in March, 1999. This same standard, with few changes, remains in effect today. Our Company, Forklift Certs On-the-Go, has flexible, full service Operator Training Programs that will help your organization maintain full compliance with these OSHA requirements for training your forklift operators in the safe operation of your powered industrial lifts. Additionally, our OSHA forklift training improves operator safety, productivity, and efficiency. Contact us to learn more about our forklift classes!